Endangered Wine has introduced its new label of select wines from the fertile grounds of Northern California. The company intends to support the preservation of endangered animals which are on the verge of extinction from several threats including habitat loss, climate change, poaching and disease. 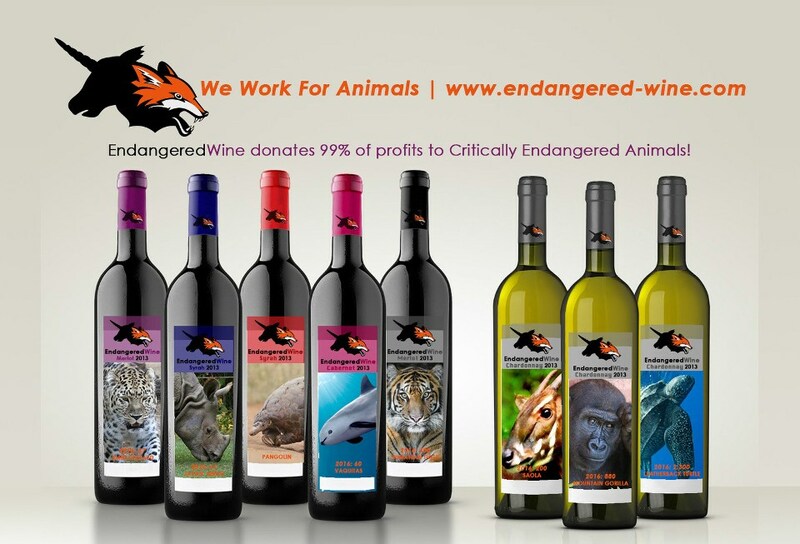 Endangered Wine says that the label has been developed to create to raise awareness through exposure and to become a voice for those animals. The company claims that 99% of the profits earned will go to support wildlife preservation. Winemaker Jason McConnell said: "When you happen to have the Russian River flowing through your backyard, you're already starting with some of the best soil that Mother Nature can provide. "Our job here at Endangered-Wine is to grow the best fruit we can in the vineyard. With excellent fruit, we can employ a minimalist approach to achieve the finest wine. We adopted this protocol from the beginning and we intend to follow it into the future. Endangered Wine co-founder Bill Seet says:"One day, a few months ago, Peter came to me with an idea to build a brand and design a label for Jason's wine. I happened to be watching a Nature documentary at the time and was distraught over what I was seeing: the mass extinction of animals that had no power or voice. "I began thinking of this branding project as a way to raise awareness for an urgent issue, envisioning the project as a way to drink for a good cause, expose people to Jason's fantastic wine while supporting endangered wildlife, a win-win. That's how the concept of the Endangered-Wine brand came to be." Endangered-Wine is set to offer 2013 Cabernet and 2014 Chardonnay throughout this year. Image: Endangered-Wine launches new label on Earth Day. Photo: Courtesy of PR Newswire Association LLC.